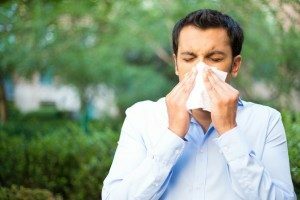 Top 3 Changes You Can Make For Allergy Sufferers in Your Fredericksburg Home | Robert B. Payne, Inc. In Fredericksburg, our changing seasons can really take a toll on allergy sufferers. From the extreme cold to the swift coming of spring, those people we love who suffer from allergies don’t have it easy. Because this is a reality, there are things you can do inside your home to make life less miserable for those noses. Let’s discuss how you can implement three positive changes to decrease the amount of allergy flare ups that happen in your home. On your furnace or in your air conditioning unit, the system relies on a filter to weed out allergens. As such, these filters need to be replaced regularly. We even suggest to some that these get changed monthly. This ensures the filter is able to collect more of the allergens, as opposed to a dirty filter that has no more room to collect dust and only aids in redistributing the debris. This task, done by a professional cleaning crew, will also make a world of difference. It ensures that all aspects of your HVAC system are free of dust and debris. Like we made clear earlier, those two culprits are the reason why allergens occur and flare ups happen. Without proper ventilation, your home becomes and stays an allergen hub. With the right ventilation in place, however, the airborne particles are pushed out with the excess air. They exit your home, and as a result, exit the breathing space of the allergy sufferers. These three simple changes are the top things you can do to help the allergy sufferers in your life. Let’s face it, Fredericksburg isn’t an allergen-free zone, so do what you can to make your home more comfortable. For more information on bettering your air quality indoors, call Robert B. Payne, Inc. at (540) 373-5876.